Exceptionally well-maintained and well-appointed house. Ocean views. Kitchen fully stocked and linens provided. Cathedral ceilings, ceiling fans, and A/C. Large deck with gas grill and dining set. Large, private backyard with picnic table. Outdoor shower. Five minute walk to Scarborough Beach, tennis courts and playground. Boating, kayaking, and fishing nearby. Short drive to Block Island Boat, 20 minutes to Historic Wickford, Jamestown, and Newport. Cable & Internet provided. The House & Yard: This large, modern, fully-equipped home is perfect for families of up to ten members. It has a large, grassy, fenced-in yard for kids to play in. The backyard offers privacy, a brand-new cedar wood outdoor shower, and a picnic table. An oversize deck leading off the kitchen features a Weber natural gas grill, a large patio set, and panoramic views of Narragansett Bay. The Beach: The house is located just a few minutes walk from Scarborough Beach. The beach features concessions, showers, a lovely boardwalk, and observation platforms. If you drive to the southern entrance, you can park in the grassy field right behind the dunes. There, you can offload your beach gear and have a picnic at one of the tables or pavilions overlooking the beach. At the northern end of the beach is Black Point park, featuring fishing and trails along spectacular, rocky coastline. Narragansett & The Surrounding Area: Narragansett offers several other beaches within a short drive. Narragansett Town Beach has showers, consessions and allows surfing and other water sports. Roger Wheeler State Beach is protected by breakwaters, and its gentle surf is good for very small children. Galilee State Beach is located in the quaint fishing port of Galilee where you can sunbathe, dine at one of the many seafood restaurants or take the ferry to historic Block Island--which the Nature Conservancy called one of America's last great places. My husband is from Rhode Island. He has fond memories of spending summers in Narragansett -- riding the ocean waves, playing beach volleyball, ocean kayaking and enjoying fresh seafood. Narragansett is our second home. We have family who live their year-round. Our permanent residence is in Virginia, but we are currently living in London, UK. This is our second home. 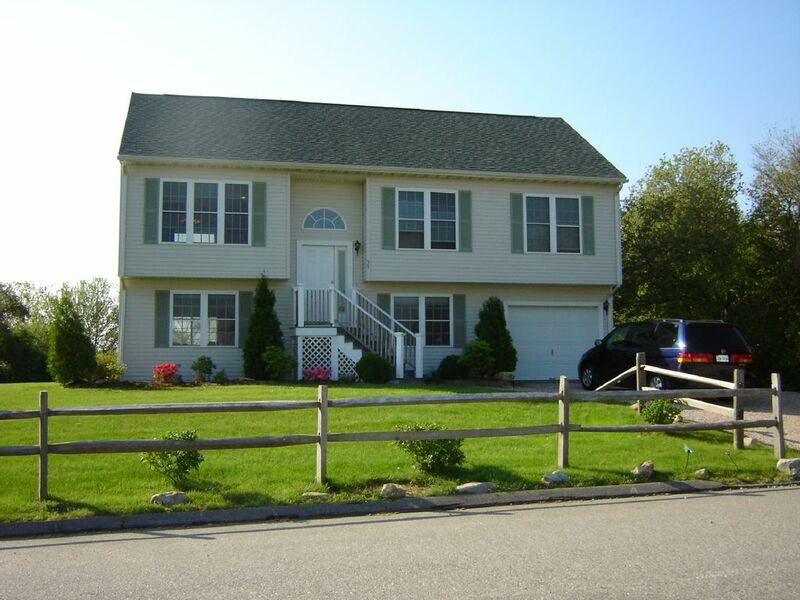 It is known to be one of the best kept rental homes in all of Narragansett. Many of our renters have been with us for over 15 years. We manage the property ourselves and our renters always have direct access to us. Linens are supplied and maid service is included in the price. Short walk to Scarborough beach. Easy access to beach for all ages, including families with strollers and young children. A view of Scarborough beach, including its board walk, can be viewed from the deck. Lovely ocean view from deck. Deck furnished with grill and seating for 10. Two sets of linens, blanket,spread and pillows provided for each bed. The driveway accommodates five cars. There is off street parking during the day. Egyptian cotton bath towels, hand towels and face towels provided for 10 persons. The driveway accommodate 5 cars. There is plenty of off street parking, but Narragansett strictly enforces its off street parking laws. Everything supplied for dining and entertaining. Fully stocked, including wine glasses, dishes, cutlery, baking tins, cooking/serving dishes and lobster pots. Lovely secluded back yard. Great for yard games. Patio Table with Umbrella and chairs. Seats 10. Great for families or couples. Two levels. Ground level has one giant bedroom that can sleep 4 and a second bedroom that sleeps 2. Upper level has a master and two smaller bedrooms that sleep a total of 6 persons. 1 king, 2 queens, 2 doubles, 1 sleeper sofa. Outdoor shower, cathedral ceilings, ceiling fans, A/C, breakfast bar, new appliances, new furnishings, large deck, patio furniture, picnic table. We have rented for several years in Rhode Island and this home is by far the best! The rooms were spacious and location is ideal - a short walk or drive to Scarborough Beach with a lovely ocean view from the back deck. The kitchen was well-stocked with all of the necessary amenities, and the linen service provided for a small fee was very convenient. The owners are extremely courteous and efficient, and respond promptly to any questions/concerns. We would highly recommend this home to anyone who is looking for a comfortable, relaxing and fun-filled getaway! We have rented homes in Narragansett for many years. This house is by far the best one. It is immaculate and well maintained. The kitchen is well stocked and the linens are clean and plentiful. It has a big deck with an ocean view and a large, private back yard. It is definitely big enough for 2 familes. It is a pleasure working with the owner, Liz. I would highly recommend this house for your beach vacation!! Our family has been enjoying this house for our yearly gathering at the beach and we couldn't be happier. The owners are a delight and the house is immaculate. The linens that are supplied and the kitchen supplies are always plentiful and in perfect condition. The view from the deck is wonderful and the private yard is just perfect for our many sport activities and our "beach olympics". The beach is a short walk away and there are tennis courts also available. This is a wonderful place for some fun in the sun! We have rented this property for the past 5 years and it has always been in immaculate condition upon our arrival. The view from the deck is beautiful and the yard is very private. Great for family sport and gatherings. The house is well appointed and perfect for two families to share. The owers are a delight to deal with and respond promptly to any issues that arise. I highly recommend the property. Walk (5 minutes) to Scarborough Beach and Black's Point (nature walk along rock outcroppings and beach), Kayak along Narrow River, Pick your own lobsters and other fresh seafood off fishing boats at Point Judith, Hop a Ferry to Block Island or go whale watching or play mini golf. Nearby inclement weather activities include bowling, roller blading and more. 20 minute drive to Newport. Golf: There are several area golf clubs, including Point Judith Country Club in town and the Jamestown Country Club in nearby Jamestown. Narragansett also has a driving range and miniature golf. .Weekly rent includes linen service (bed sheets and bath towels) at end of stay.